Item # 295072 Stash Points: 1,697 (?) This is the number of points you get in The Zumiez Stash for purchasing this item. Stash points are redeemable for exclusive rewards only available to Zumiez Stash members. To redeem your points check out the rewards catalog on thestash.zumiez.com. Add a pop of color to your daily attire with the Legacy dad hat from Just Have Fun. 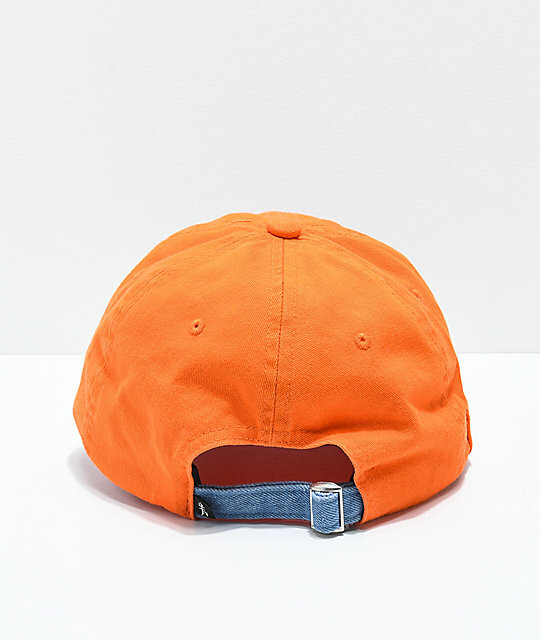 An orange crown features a "JHF" brand patch at the front and a side utility loop to hold anything from a stylus to a pencil to anything that size really. The Legacy hat is finished with a denim blue curved bill and strapback sizing piece for a custom and perfect fit. 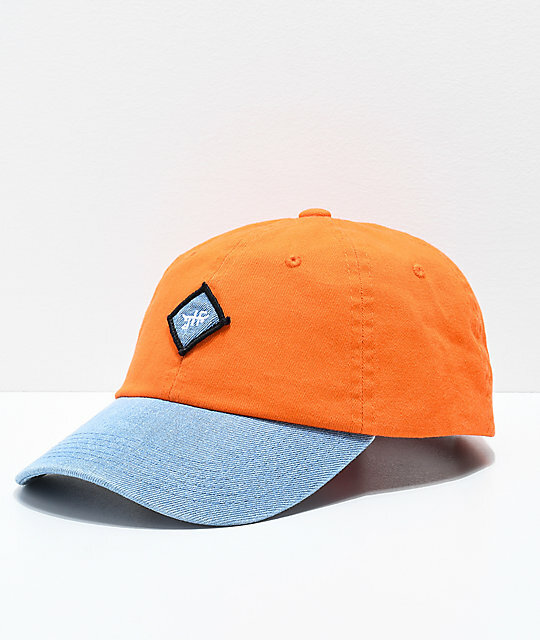 Legacy Peach & Denim Strapback Hat from Just Have Fun. Just Have Fun embroidered patch at the front. Adjustable strapback sizing piece for a custom fit w/ brand tag. Utility loop at right side.